Now Login to WordPress admin dashboard. Go to Appearance> Themes > Add New > Upload theme. Upload real-estater.zip and Activate themes. When you click on “Activate” button to activate real-estater Theme, you will see the a notice offering you to install required and recommended plugins. Click on the Import Demo Data and follow the process. Go to Appearance > Customize >Default Setting. you will get different options and Setting as shown in screenshot. Header call to setting will give you options to put call option ,button option as your desire. 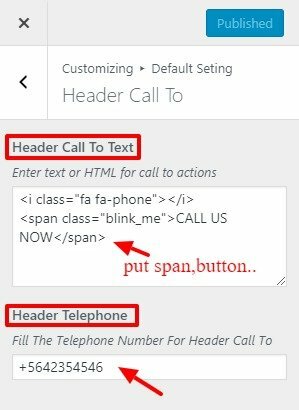 Header Call To Text: Here you can put span ,button as your choice as shown. Header Telephone: Here you can put your phone number. Display Site-title and tagline: Help you to enables/disables the site title and tagline from the site. 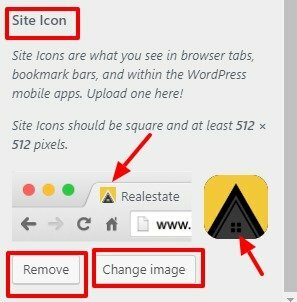 Site-icon: Site Icon is used as a browser and app icon for your site.Icon must be square and at least 512px wide and tall. Go to Appearance > Customize >Default Setting > color. where you can see Background Color Options sections. Background Color: Select the color available in the options. 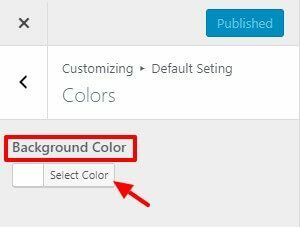 If the preview is fine, click on Publish to apply recently selected Background Color. Go to Appearance > Customize > Header Image. From where you can change the Header Image for your site. 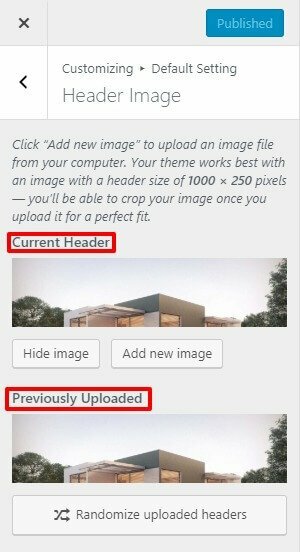 Select the header image of your choice.If the preview is fine, click on Publish to apply the recently selected image as the Header image. Go to Appearance > Customize >Default Setting >Background Image. where you can see various sections. Background Image: Here you can set Background Image. Preset: Here you can Preset your background image. Image Position: Here you can set your background image position. Image Size:Here you can set your background Image size. 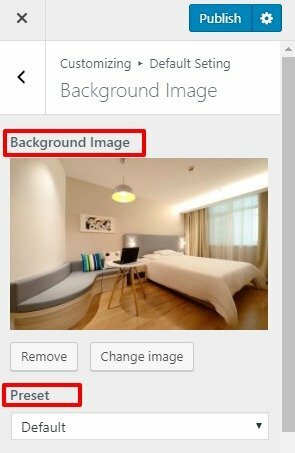 Repeat Background Image: Here you can disable and enable Repeat Background image. 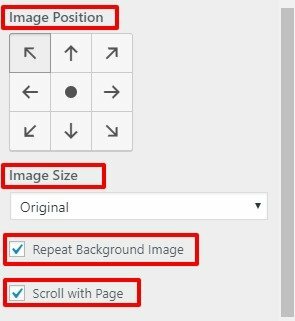 Scroll with Page: Here you can disable and enable Background image scroll . 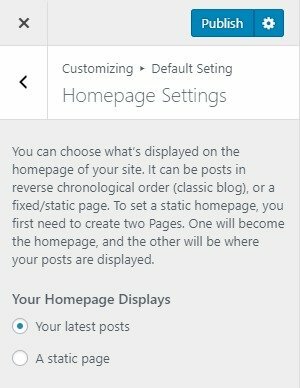 By default, your homepage will also display your post feed, listing all of your latest posts for visitors to see. But If you would like to instead have your homepage be a static page then your front page will display the content from the page you selected as Front Page. 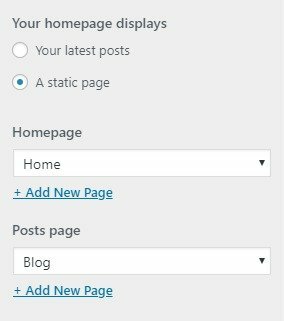 However the page you selected in Posts Page will become your blog page..
Go to Appearance > Customize > Front Page Setting. Go to Appearance > Customize > Front Page Setting > Slider Section. where you can manage your slider section as shown. 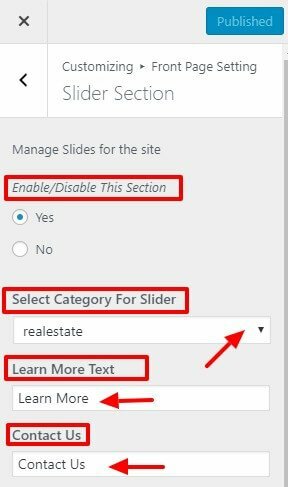 Enable/Disable This Section: This option help you to enable or disable to your slider section. Select Category For Slider: This option help you to select the category for slider section. Learn More Text: This option help to edit your button text. Contact Us:This option help to edit your button text. Contact Us Link:This option help to edit your button text link. No. Of Slider:This option help to select the number of slider in your slider section. Go to Appearance > Customize > Front Page Setting >About Us Section. where you can manage About Us Section. 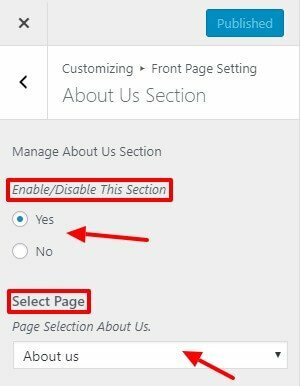 Enable/Disable This Section: This option help you to disable and enable about us section of your site. Select Page :This option help you to select page for your about us section. Go to Appearance > Customize > Front Page Setting >Feature Section. where you can manage Feature Section. 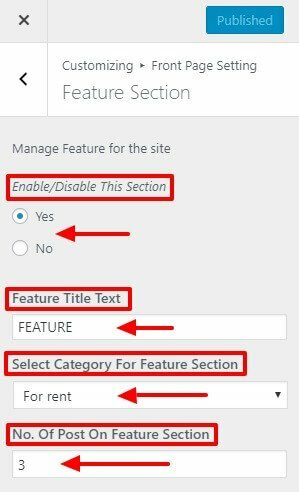 Enable/Disable This Section : This option help you to Enable/Disable feature section. Feature Title Text :This option help you to edit title of your feature section. 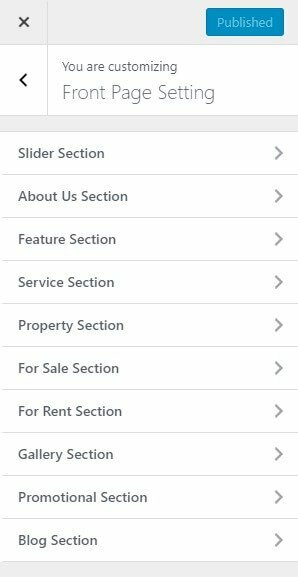 Select Category For Feature Section : This option help you to select category for your Feature section. No. Of Post On Feature Section : This option help you to select number of post on feature section. 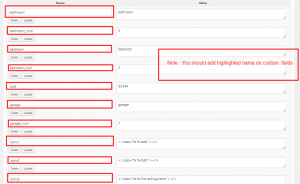 To add tags please go to admin dashboard -> Posts-> Screen Options->check Custom field -> Tags -> Add Tags. 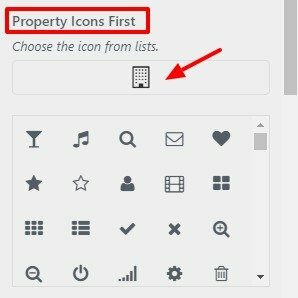 How To add price, icons , Bedroom, Bathroom, Garage and their number. Go to admin dashboard -> Posts -> Screen Options->check Custom field-> then add following custom value as show in figure. Go to Appearance > Customize > Front Page Setting >Service Section. 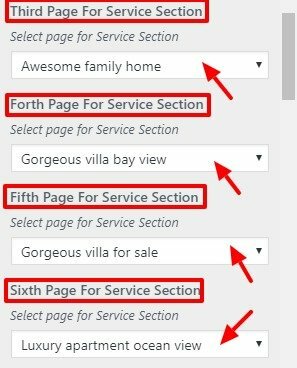 where you can manage Service Section. 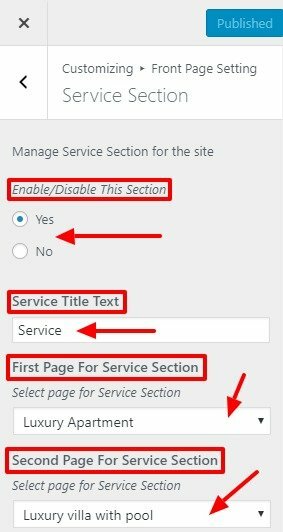 Enable/Disable This Section:This option help you to Enable/Disable Service section. Service Title Text:This option help you to edit title of your Service section. 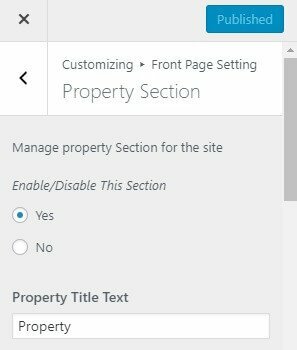 Go to Appearance > Customize > Front Page Setting >Property Section. 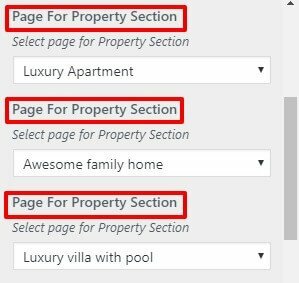 where you can manage Property Section. Enable/Disable This Section:This option help you to Enable/Disable Property section. 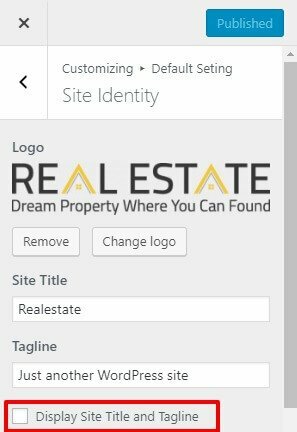 Property Title Text:This option help you to edit title of your Property section. Go to Appearance > Customize > Front Page Setting >For Sale Section. where you can manage For Sale Section. 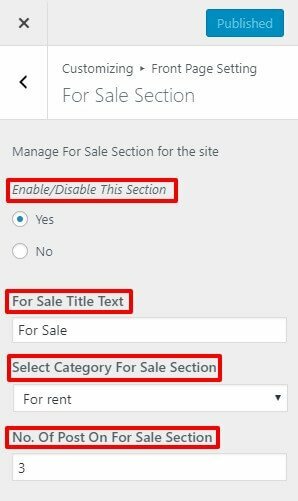 Enable/Disable This Section:This option help you to Enable/Disable For Sale section. For Sale Title Text:This option help you to edit title of your For Sale section. Select Category For Sale Section: This option help you to select category for your For Sale section. No. Of Post On For Sale Section:This option help you to select number of post on For Sale section. Go to Appearance > Customize > Front Page Setting >For Rent Section. where you can manage For Rent Section. 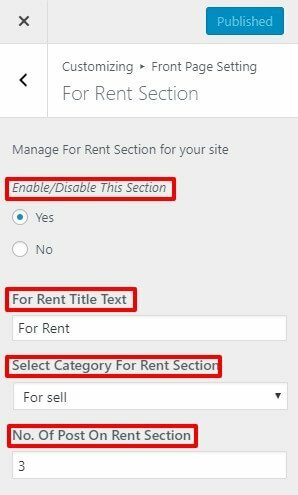 Enable/Disable This Section:This option help you to Enable/Disable For Rent section. For Rent Title Text:This option help you to edit title of your For Rent section. Select Category For Rent Section: This option help you to select category for your For Rent section. No. Of Post On For Rent Section:This option help you to select number of post on For Rent section. Go to Appearance > Customize > Front Page Setting >Gallery Section. where you can manage Gallery Section. Enable/Disable This Section:This option help you to Enable/Disable Gallery section. For Gallery Title Text:This option help you to edit title of your Gallery section. 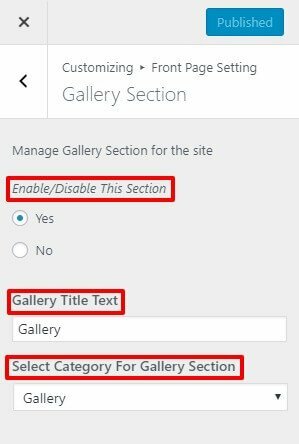 Select Category For Gallery Section: This option help you to select category for your Gallery section. Go to Appearance > Customize > Front Page Setting > Promotional Section. where you can manage Promotional Section. 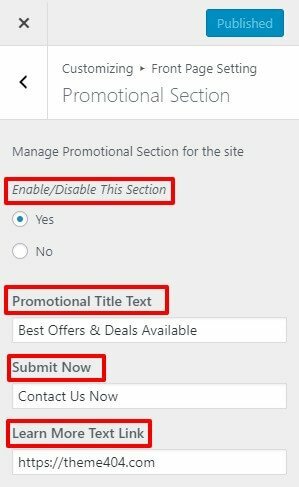 Enable/Disable This Section:This option help you to Enable/Disable Promotional section. Promotional Title Text:This option help you to edit title of your Promotional section. Submit Now:This option help you to edit submit text in your site. Learn More Text Link: This option help to give link for your Promotional button. 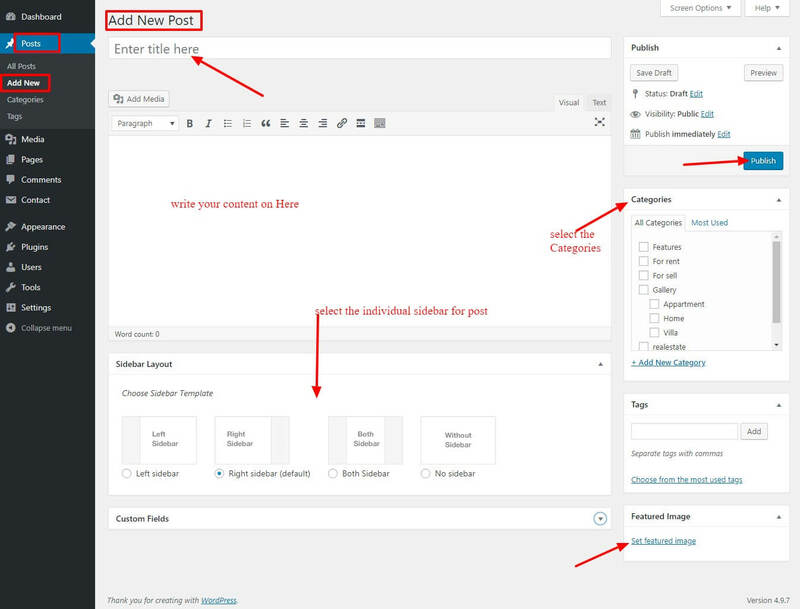 Go to Appearance > Customize > Front Page Setting >Blog Section. where you can manage Blog Section. 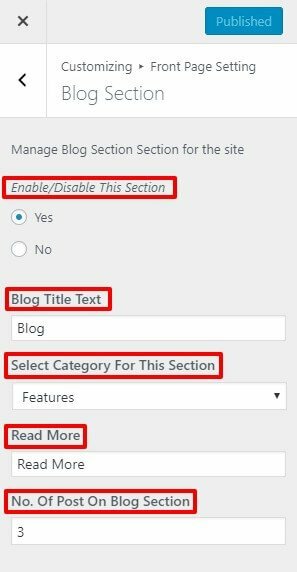 Enable/Disable This Section:This option help you to Enable/Disable Blog section. Blog Title Text:This option help you to edit title of your Blog section. Select Category For This Section: This option help you to select category for your Blog section. Read More: This option help you to edit Read more text in your site. No. Of Post On Blog Section:This option help you to select number of post on Blog section. 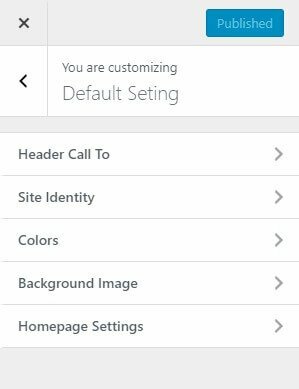 Footer Settings tab allows you to Customize Footer part. go to Appearance > Customize >Footer Setting. then you found various option as shown. 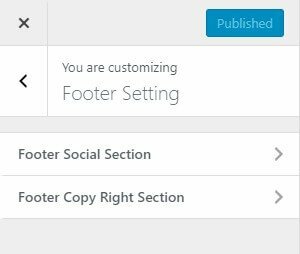 go to Appearance > Customize >Footer Setting > Footer Social Section.where you can manage Footer Social Section. 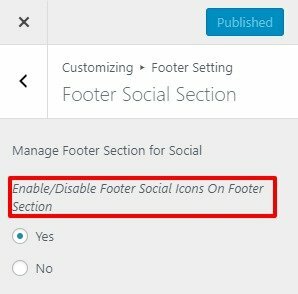 Enable/Disable Footer Social Icons On Footer Section:This option help you to Enable/Disable Footer Social Section. go to Appearance > Customize >Footer Setting > Footer Copy Right Section.where you can manage Footer Copy Right Section. 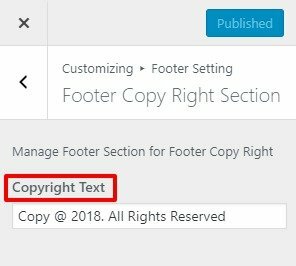 Copyright Text:This option help you to edit Footer Copy Right Section. 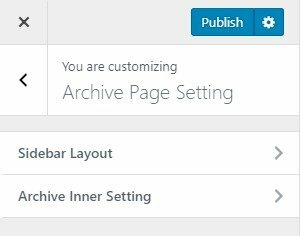 Archive Page Setting tab allows you to Customize Archive Page. go to Appearance > Customize >Archive Page Setting. then you found various option as shown. 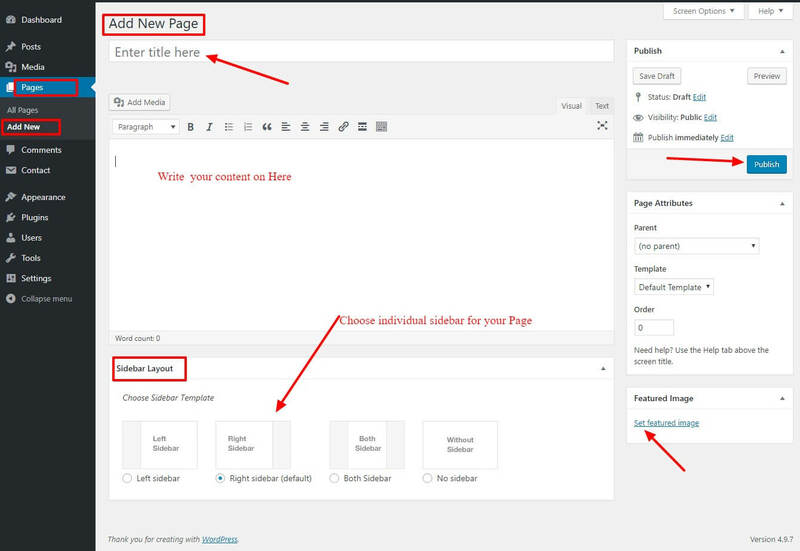 go to Appearance > Customize > Archive Page Setting > Sidebar Layout.where you can manage Sidebar Layout. 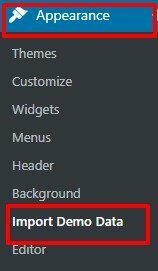 Sidebar Left: This option help to set your sidebar to left side. 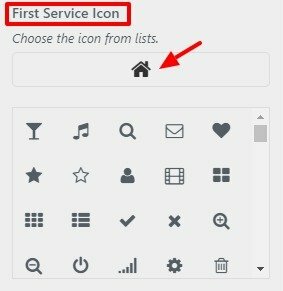 Sidebar Right: This option help to set your sidebar to right side. Sidebar Both:This option help to set your sidebar to both side. 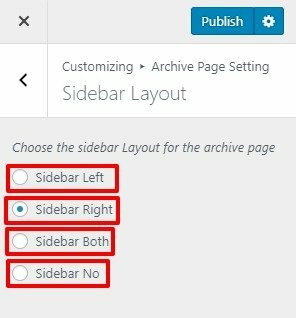 Sidebar No:This option help to set no sidebar in your site. 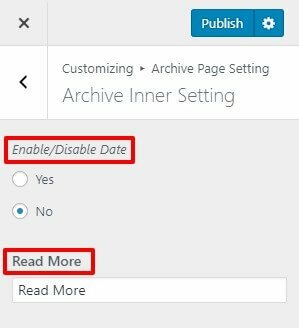 go to Appearance > Customize > Archive Page Setting >Archive Inner Setting .where you can manage Archive Inner Setting. Enable/Disable Date:This option help you to Enable/Disable Archive date in Archive section. Read More:This option help you to edit read more text in Archive page. Widgets are one of the most important aspects of this theme.widgets are specially built for the front page so that most of your content can be categorized easily and be accommodated to feature in the front page. From Customize section, go to Widgets. From Widgets, you will see different sections to add widget where you will be able to Add a Widget or Remove widgets by going to particular widget section. And the added widget will be displayed in particular section that you have added. Note: Make sure to add proper widgets in proper widget area for best result. 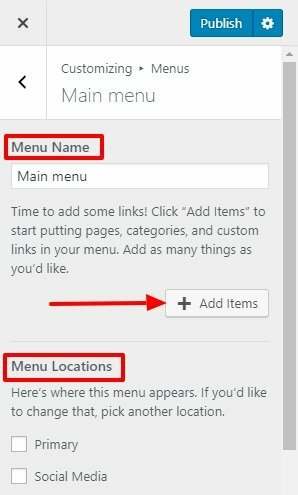 From Menus, click ‘ Add a Menu’ button and you will be able to create a menu.